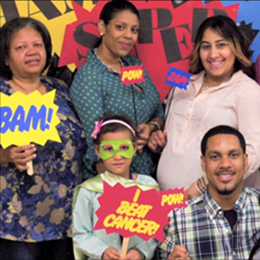 Children’s Hospital at Montefiore (CHAM) has earned a coveted place on the U.S. News & World Report rankings of the nation’s best children’s hospitals for the eleventh year in a row. CHAM also maintains its leadership position in the New York State region, ranking #3 overall. CHAM maintains its longstanding #1 ranking in the region for Nephrology; #2 in the region for Gastroenterology & GI Surgery, Neonatology, and Neurology & Neurosurgery; and #3 in the region for Pediatric Cancer. This year, Gastroenterology & GI Surgery advanced to the top 20 in the nation, demonstrating consistent strength, reflecting the division’s collaboration between medical doctors and surgeons, as well as their cross-disciplinary, team-based care. CHAM ranks nationally in five out of six surgical specialties. Once again, Neurology & Neurosurgery make the list of CHAM’s seven nationally ranked specialties, advancing to #26 in the nation. Neonatology, Nephrology, Orthopedics and Urology continue to place in the top 50. CHAM’s national leadership results from exceptional team-based, family-centered care and the excellent outcomes achieved for our patients. “We are so proud of our excellence in specialties such as neonatology and nephrology, and with CHAM ranking nationally in five out of six surgical specialties, we’re especially proud of our leadership in this area,” Daphne Hsu, MD, Physician-in-Chief, CHAM.